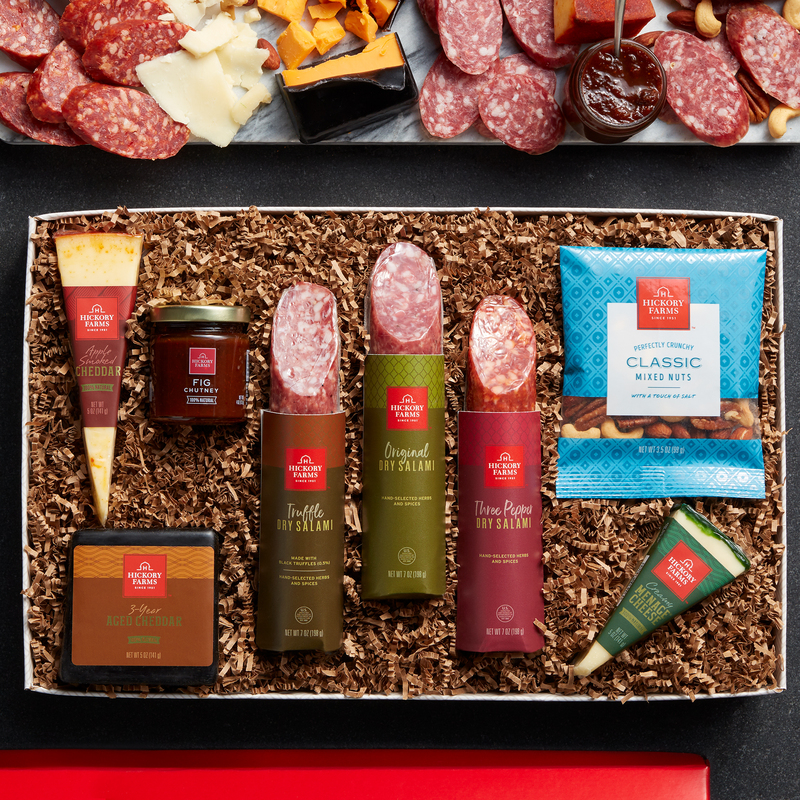 This bountiful box is filled with an assortment of creamy natural cheeses alongside three different flavors of dry salami. 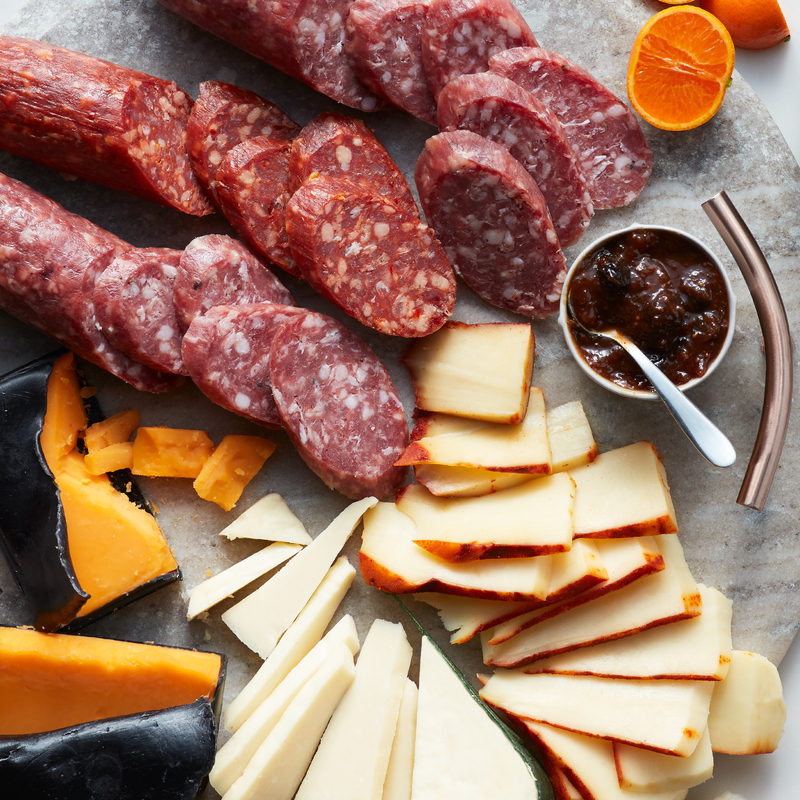 The savory mixed nuts and fig chutney make the perfect accompaniment to the salami and cheese. Arrange on a cheese board with your favorite crackers and enjoy! 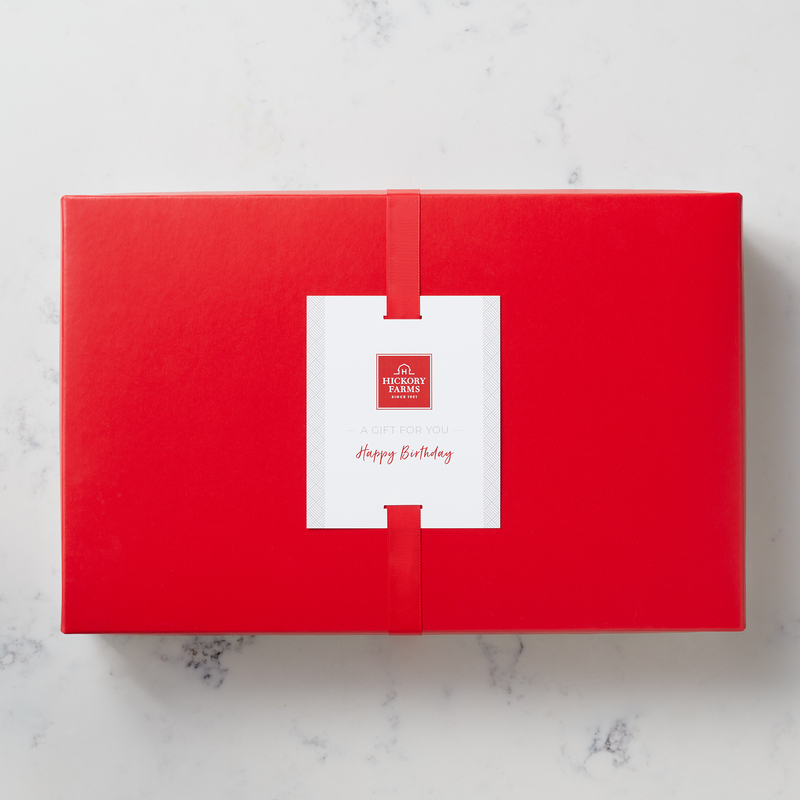 This box makes a wonderful gift for anyone who loves a delicious charcuterie spread.